The activist is taking aim at board conflicts at the online auctioneer as he agitates for a spinoff of PayPal. It’s true that VC honcho Marc Andreessen, for one, is omnipresent in tech and hasn’t proved a great director at HP. But Icahn is taking on a culture bigger than eBay’s. First-time issuer eBay made use of the thriving investment-grade bond market in the heart of the earnings season last week to stock up on cash while capital is cheap. Activist investor Carl Icahn on Feb. 24 accused eBay board members Marc Andreessen and Scott Cook of conflicts of interest, and Chief Executive John Donahoe of failing to spot or ignore these issues. Icahn is urging eBay to spin off its PayPal payments business. Icahn said Andreessen, a venture capitalist, invested in and advised five direct competitors to eBay. He also stated Andreessen’s purchases of stakes in two former eBay subsidiaries (Skype and Kinetic) benefited Andreessen at the company’s expense. Icahn claimed director Scott Cook’s nearly $1 billion stake in Intuit, which he founded and used to run, made him unsuitable to be an eBay director, as the two companies compete in payments processing. He also said Cook demanded that eBay stop poaching employees from Intuit. EBay said its board has measures in place to deal with conflicts of interest and that these had been complied with in, for instance, Andreessen’s investment in Skype. The company said Andreessen’s presence on its board is an asset, and also noted that he is not up for re-election this year. It described the overlap between eBay and Intuit as “small” and said any hiring restrictions were “old news” and ended years ago. 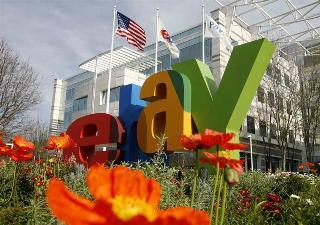 The company also reiterated its view that PayPal and eBay’s auction business are worth more together.